We buy houses in any condition in Lake Elsinore. Fill out the form below and we will give you a fair cash offer within 24 hours. We Buy Houses In Lake Elsinore! Has your house become too much to handle? Does it feel like your house is holding you back? Does thinking about your house cause anxiety and leave you feeling drained? Homeownership in Lake Elsinore can cause a ton of headaches that cost you unnecessary time and money. Now, imagine getting rid of all those feelings by selling your house fast for cash in as little as 7 days, or on the date of your choice. That’s right, you can forget about all your property’s issues! We will purchase nearly any property in Lake Elsinore, regardless of condition. It doesn’t matter whether you live in it, you’re renting it out, it’s vacant, or not even habitable – we will handle all of that, and can even help you or your tenants relocate. Repairs can get extremely expensive. We have purchased properties all over Lake Elsinore just like this one. Forget about fixing up your house – we will take care of it! Over years of work and hundreds of purchased houses, we have come to understand the updated look buyers demand in Lake Elsinore. We are perfectly comfortable giving a fair offer for your house NOW. The current estimated population in Lake Elsinore is around 66,000 people according to the United States Census Bureau. 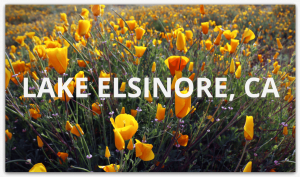 Located in Western Riverside County, Lake Elsinore was established in 1888. The city is built around and named after Lake Elsinore, a natural lake covering 3,000 acres. The city has seen substantial growth – expanding from a small resort town in the 19th century. The Elsinore Valley has been long inhabited by Native Americans. The Luiseno people were the earliest known inhabitants of Lake Elsinore. Their pictographs can be found on rocks on the Santa Ana Mountains and in Temescal Valley, and artifacts have been found all around Lake Elsinore and in the local canyons and hills. From the beginning, the mineral springs near the lake attracted visitors seeking therapeutic treatments. In 1887, the Crescent Bath House, now known as “The Chimes“, was built; it still stands in historic downtown and is a registered national historic site. By 1888, the economy was supported by coal and clay mining at what became the town of Terra Cotta, gold mining in the Pinacate Mining District, ranching, and the agriculture of fruit and nuts. After 1893, the lake’s water level sank almost continuously for nearly 10 years, with a slight rise every winter. Heavier precipitation, beginning in 1903, gradually filled the lake to about half the depth above its minimum level since 1883. Then in January, 1916, a flood rapidly raised the level to overflowing. Rapid population growth in the mid-2000s altered the appearance and image of Lake Elsinore from a small lakeside town of 3,800 people in 1976 to a bedroom community of upper middle-class professionals. The city was ranked as the 12th fastest growing city in California between 2000 and 2008. We are a family-owned company on a mission to change the lives of frustated homeowners in Lake Elsinore. Our team makes it happen.